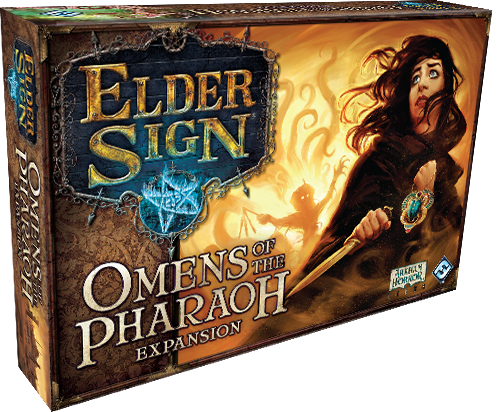 In Omens of the Pharaoh, the newest expansion for Elder Sign, the investigators must work to stop the rise of despotic and otherworldly Nephren-Ka as he seeks to break free from his eldritch prison. In our last preview, we discussed how the investigators can race back and forth from Cairo to Dashur in an effort to build up supplies and then take on the horrors that consume the area around the ill-fated archaeological expedition. As the investigators seek out any advantage against the encroaching darkness, their ignorance of their enemy may be their undoing. Though the expedition surrounding Dashur is what led to this disaster in the first place, the secrets that can be gleaned from the dig site could be used to seal away the Dark Pharaoh once and for all.